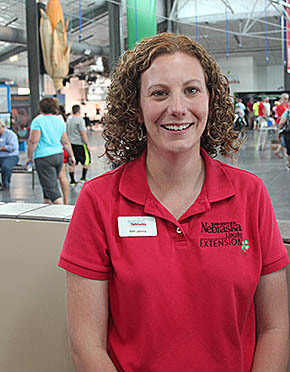 Elizabeth (Maricle) Janning has what she considers her dream job as chief educator in charge of the “Raising Nebraska” agricultural exhibit on the Nebraska State Fairgrounds. The new exhibit is located in the Nebraska building, which also made its debut with the 2014 State Fair. 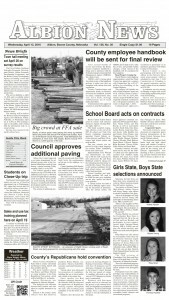 Beth is the daughter of Keith and Mary Ann Maricle of rural Albion. She uses her agricultural background and education in animal science to bring home the positive message about Nebraska agriculture. She has held the position only since July 30, 2014, but has kept a busy pace since that time. Read more in the Sept. 3 Albion News Print & E-Editions.